US journalist Samuel Odunsi Jr, ex contributor to Dead End Hip Hop among others, has returned from a short hiatus last year to launch his own new online platform which focuses on new music and movie releases. 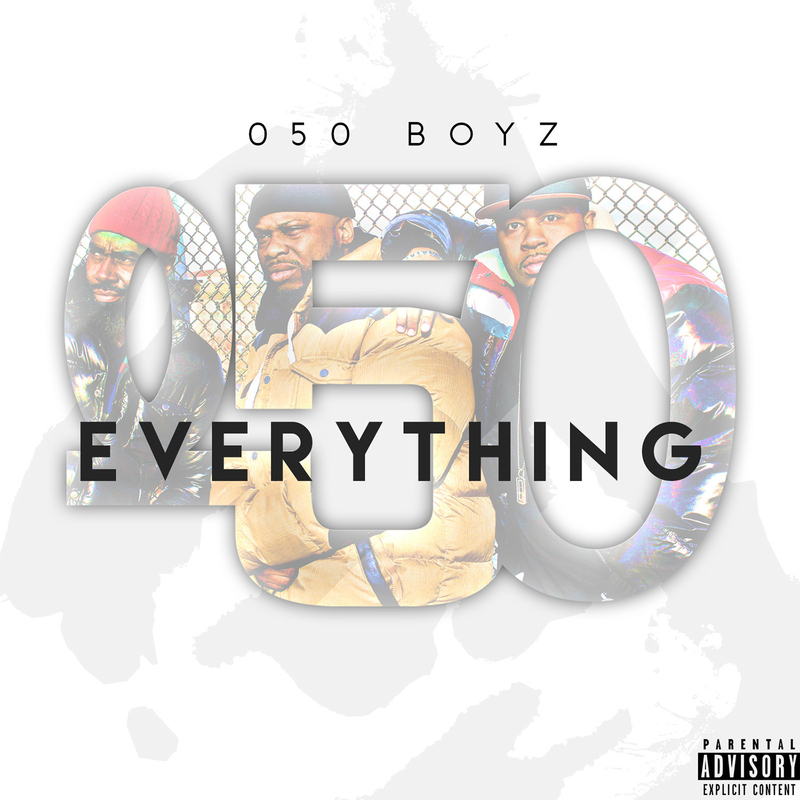 Among his initial new content is a new review of the album “Everything 050” released in August lat year by New Jersey hip hop trio 050 Boyz. 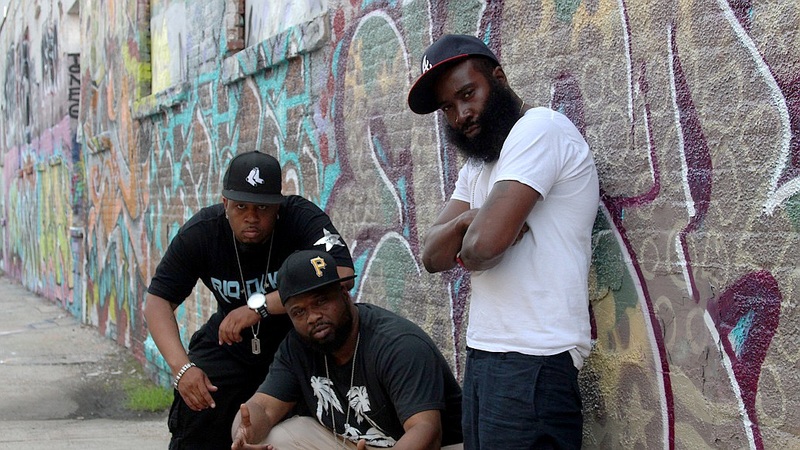 This was the group’s debut official album although individually Riq da Kid, Tru Trilla and Prince AK have released various solo projects and continue to do so. Produced entirely by Clinton Place, the Brick City trio were joined by many guest feature artists including Treach (Naughty by Nature), DoItAll (Lords of the Underground), Lakim Shabazz, Tha Advocate, IB the Druid, Fam (Rottin Razkals) and many more. 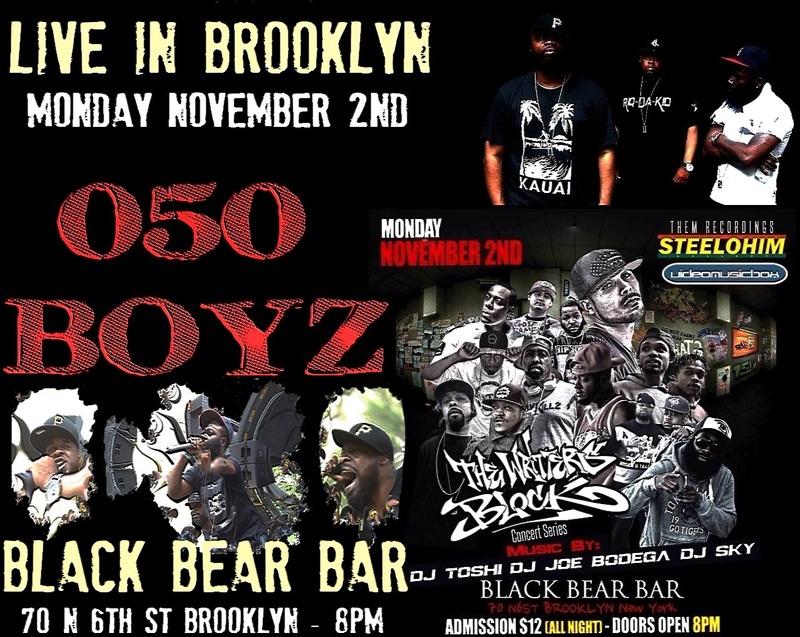 New Jersey’s 050 Boyz are renowned for their energetic high octane live stage shows, and will be performing at the Black Bear Bar in Brooklyn on Monday 2nd November as part of a quality line up arranged by The Writters Block Concert Series. Should be a big night for fans of real hip hop in the area, with additional dj sets courtesy of Toshi, Joe Bodega, Sky and more artists on the bill ready to rip the mic. The group released their much acclaimed debut album “Everything 050” (available HERE) in August and appeared as guests on various radio shows including The Bodega Cold Kutz Show, the LFHQ show with DJ Premier and the Rap Is Outta Control show with DJ Eclipse where they performed this freestyle cypher with Boston’s N.B.S. 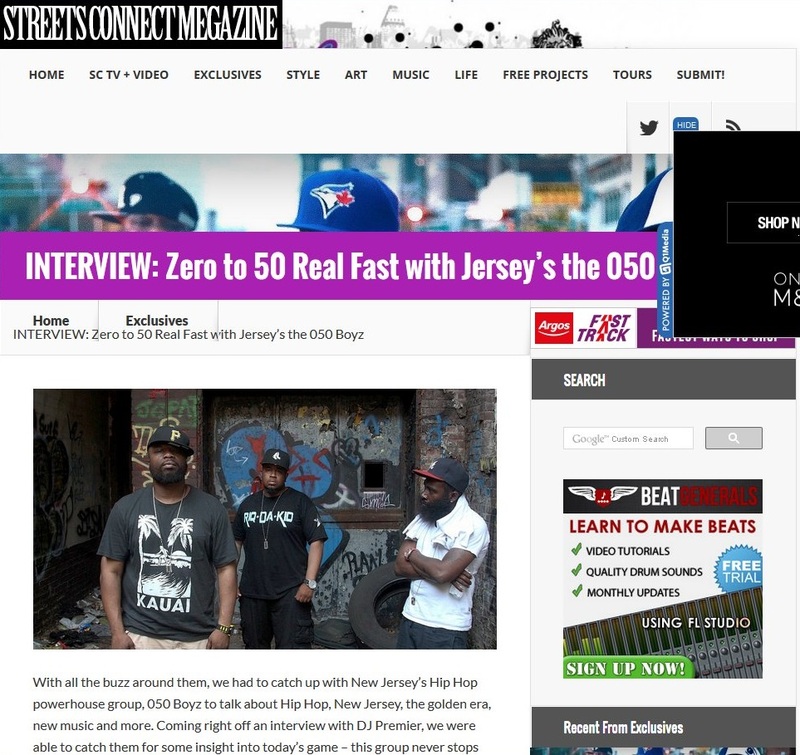 West coast online magazine Streets Connect sat down with New Jersey hiphop group 050 Boyz recently in the wake of the release of their album “Everything 050” and their subsequent appearances on the Rap is Outta Control Show with DJ Eclipse and LFHQ Show with DJ Premier. In what is a wide ranging interview, the trio of Riq da Kid, Tru Trilla and Prince AK discuss many aspects regarding their careers. They address their history with Treach from Naughty by Nature and DoItAll from Lords of the Underground, their involvement with the Garden State Greats movement and how this proactive representation of New Jersey remains a core principle today. They then speak about the recording process of the album and how their sound, which has roots in the Golden era of the 90’s, is enjoying something of a revival and developing a new generation of fans. Their thoughts on how the traditional hip hop culture is represented today are addressed before moving on to subjects such as their renowned live performances, the current scene in New Jersey and their future plans for their label 050 Entertainment. Several singles & videos were released over the summer receiving widespread international DJ support, including “DNA” featuring Treach, IB the Druid & Fam, and “Pay Them No Mind” featuring DoItAll & Tha Advocate. Some real bangin beats and gritty lyricism for the hip hop connoisseur. Check em out.